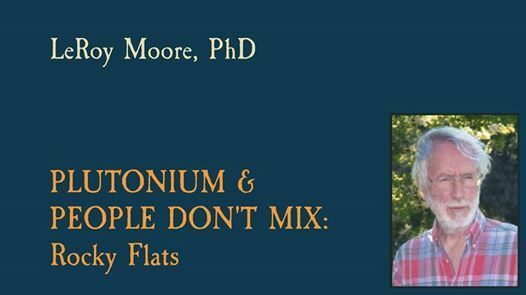 We are so excited to announce the official launch of Dr. LeRoy Moore's new book, "Plutonium & People Don't Mix: Rocky Flats" at the April Rocky Flats Right to Know meeting. 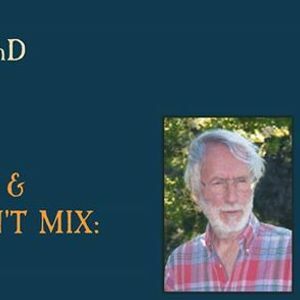 Join us for a special evening with Dr. Moore! During the meeting Dr. Moore will read excerpts from the book, discuss current issues at Rocky Flats, and welcome questions. The meeting will be followed by a book signing. Books will be for sale at the meeting (price to be determined soon). All proceeds will go to the Rocky Mountain Peace and Justice Center. A former academic, writer, devotee of nonviolence, and co-founder of the Rocky Mountain Peace and Justice Center, LeRoy Moore, PhD, worked successfully with others to end production at the Rocky Flats nuclear bomb factory near Denver, then sought the best possible cleanup of the plant’s highly contaminated site, only to be disappointed when the government agencies approved a cheaper, less responsible outcome. He served on various oversight bodies related to Rocky Flats and for several years was a member of two committees of the National Council on Radiation Protection and Measurements. He seeks the implementation of Nuclear Guardianship at Rocky Flats. From 1980 until he retired in 1996, he taught courses on nonviolent social change at the University of Colorado. A father and a grandfather, he resides in Boulder. Rocky Flats Right to Know is an organization devoted to educating the public about Rocky Flats. The group holds meetings on the 4th Wednesday of each month. Follow Rocky Flats Right to Know on Facebook for upcoming meetings.